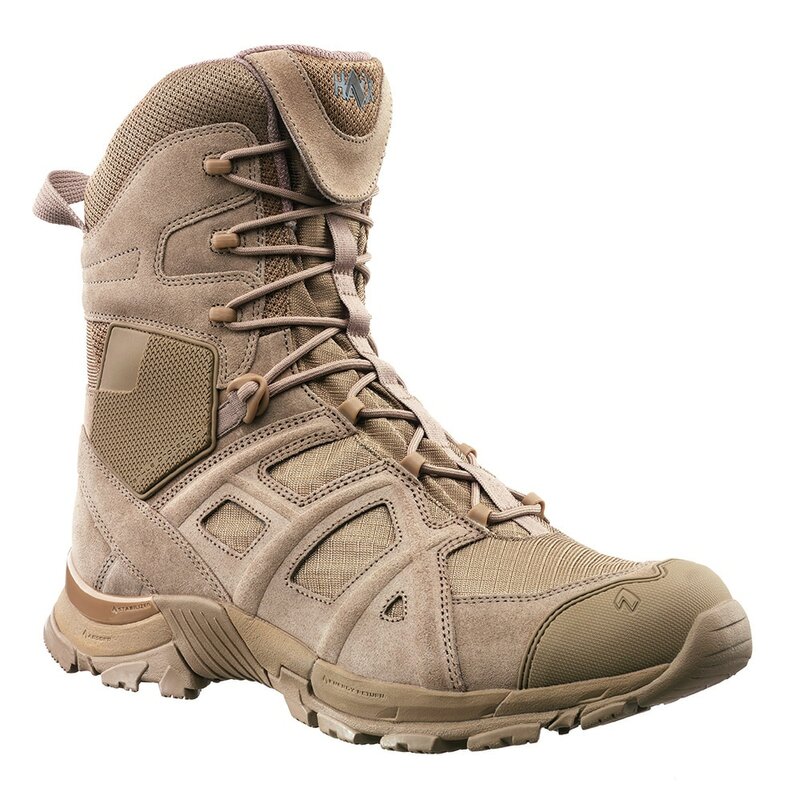 Black Eagle® Athletic 11 High Desert - MOOSE SAFETY SUPPLY, INC. 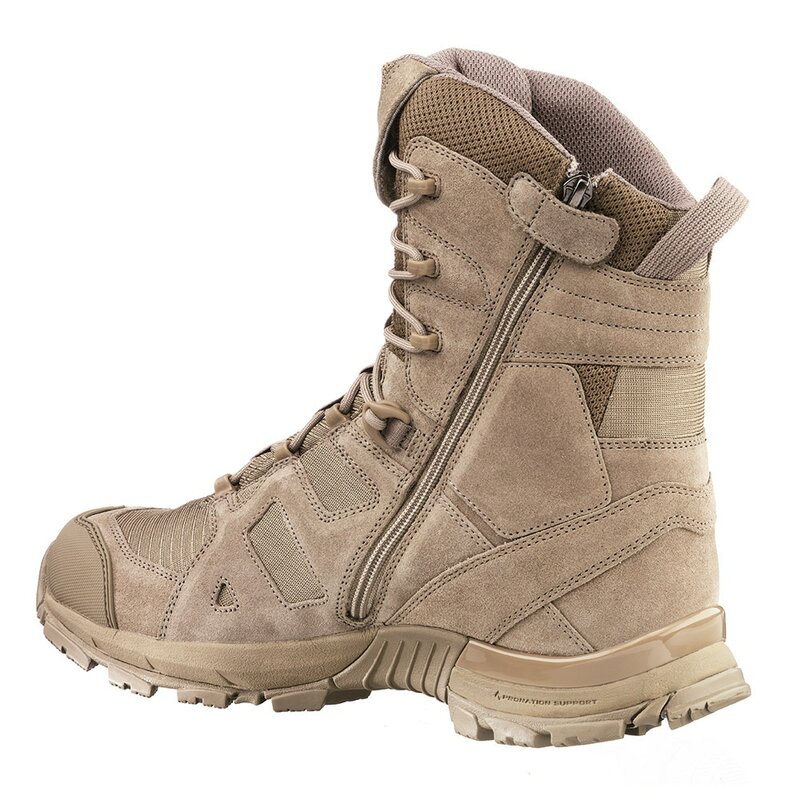 The Black Eagle® Athletic 11 High Side Zip Desert is an extra-light boot designed to be worn anywhere – on or off duty. Built metal-free to be friendly with airports, it combines the comfort of an athletic shoe with the durability of German design. ​We made sure to add extra cushioning in the heel, and spring-back material to increase the shock absorption and comfort; Perfect for both standing long hours on cement, or running hard across it. 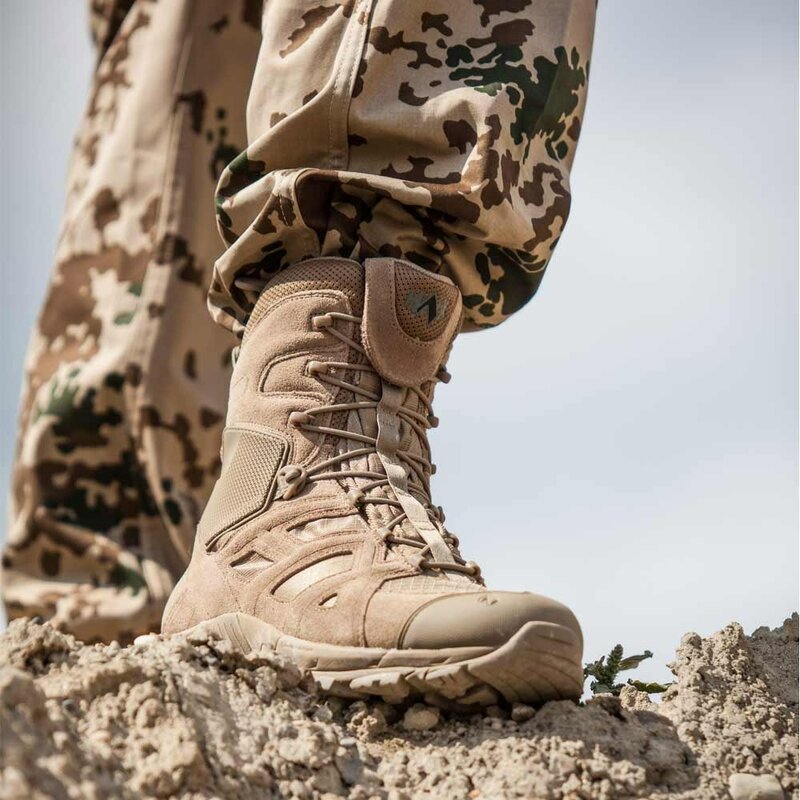 The Black Eagle® Athletic 11 High Side Zip Desert features the patented Two Zone lacing system which allows you to easily adjust the upper and lower parts of your boot’s laces so that it can snugly hug every part of your foot, for maximum comfort and protection. ​Worried about sweaty feet? 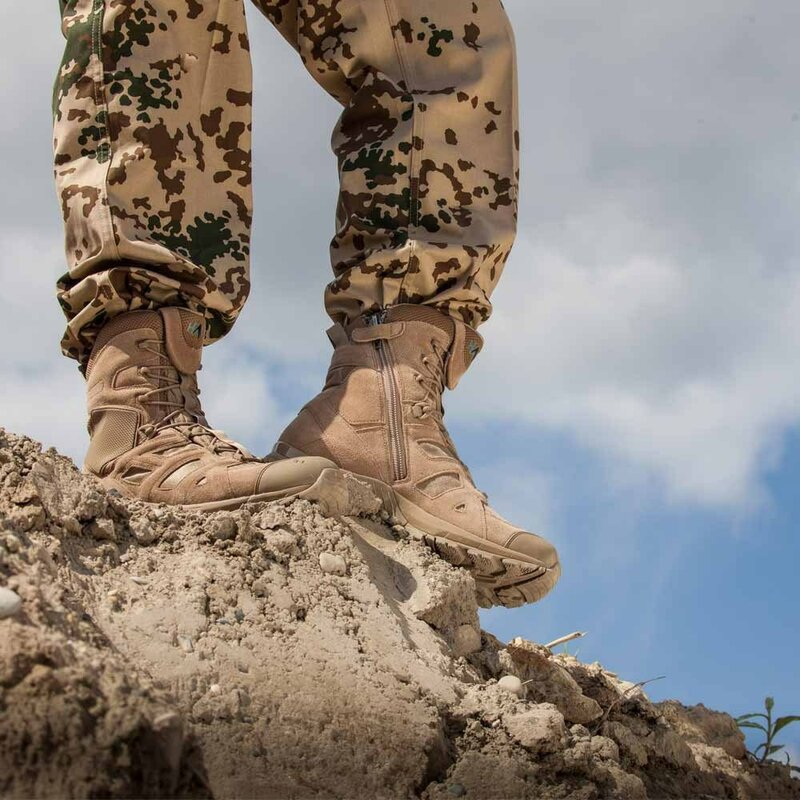 The Black Eagle® Athletic 11 High Side Zip Desert’s breathable microfiber design has been paired with our HAIX Climate System, to keep your feet cool and dry. 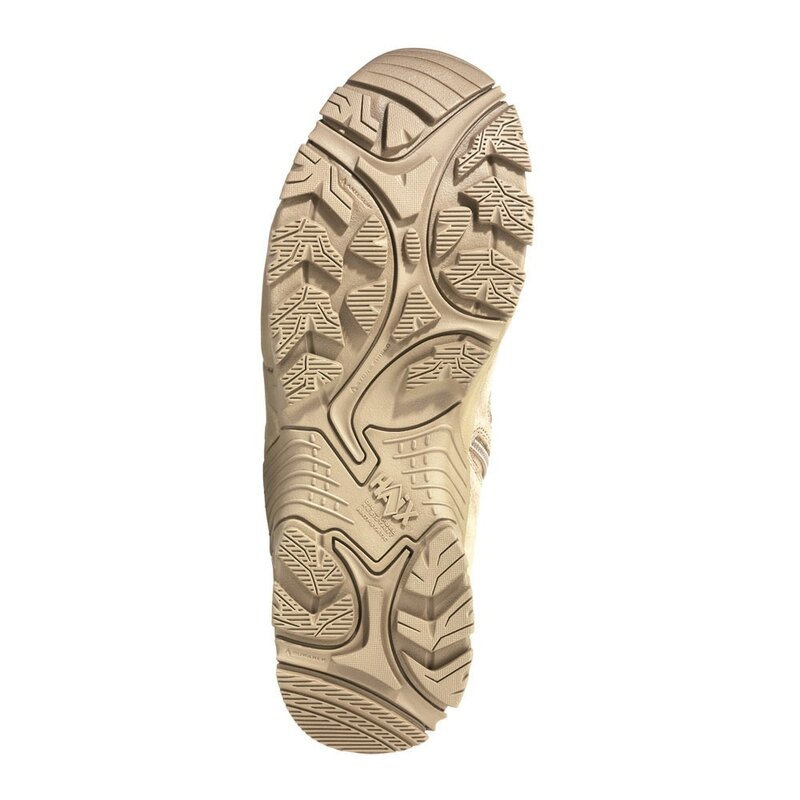 Our machine-washable insoles further help wick away moisture, while providing extra cushion and comfort. Once you purchase these boots, you’ll never look for any other pair again.